Fujitsu just released its LifeBook MH380 mini-notebook, a portable device that not only displays style but also performance. The MH380 is geared towards young professionals who are always on the go and demand that their notebooks can keep up with their lifestyles. This made-in-Japan notebook has a 10.1-inch HD backlit LED display, weighs only 1.3 kilograms, and is embellished in a pleasingly-looking chrome-ring cover. Internal specs include an Intel Atom N450 processor, 250GB 5400rpm SATA disk drive, up to 2GB of RAM, as well as SD and SDHC card slots. It has USB sharing applications that utilizes the DVD/ CD drive of home PCs and laptops using a wireless or USB connection. Users can even rotate and zoom digital photos with the help of its multi-gesture touchpad, making photo organization easier with just a few touches. The MH380 also has a scroll wheel aside from the traditional scroll function on the touch pad. 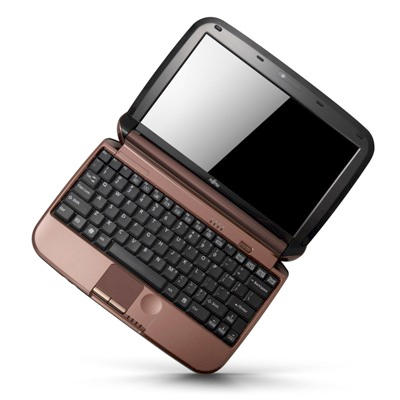 The notebook is equipped with ThinkFree Mobile Office Suite as well as VoIP software such as YouCam from CyberLink, microphone and stereo speakers included. Other features include Bluetooth 2.1, Ethernet, Wireless LAN, and a 1.3 megapixel camera. Expect the Fujitsu LifeBook MH380 to come along at the CES 2010.